It’s finally here….just a few days until the unholy feast of Samhain! We have hundreds of goodie bags ready for the little ghouls and witches that come by the house. Pumpkin beer is in hand and in the fridge. 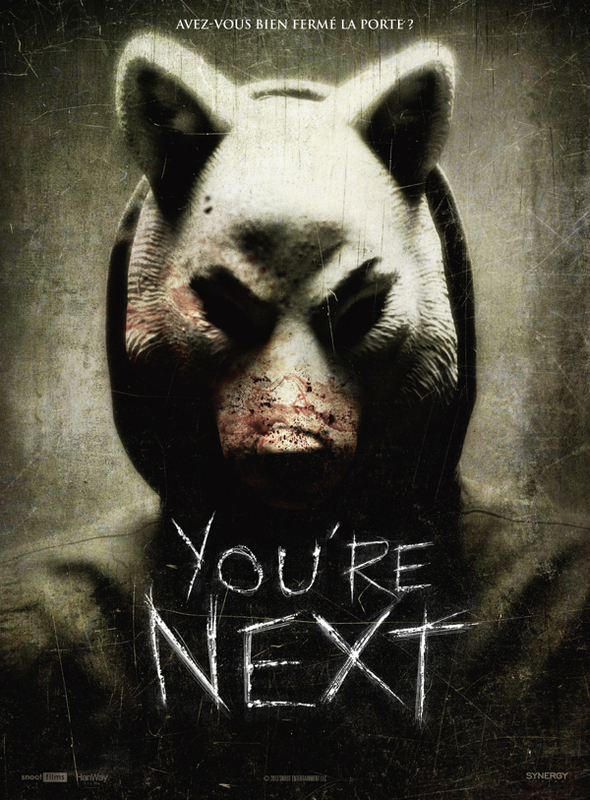 My costume is set – the big bad wolf from the movie, You’re Next. I bought the mask off the guy who wore it in the film. Pretty sweet, if I do say so myself. As part of the #Horrortober fun, I’ve been sticking to my pledge to watch at least 1 horror movie a day. As of the 28th, I have over 40 movies under my belt. The rest of this week is devoted to the classics – Halloween, Halloween 2, Friday the 13th Part 6, The Funhouse and The Haunting. Now, you may ask, why Friday the 13th Part 6? To me, this is when the franchise took a crazy turn and became a nightmarishly fun event. When I saw it in the 80s in the theater, they oversold the seats. A pretty girl asked me if she could sit on my lap and we were making out 5 minutes after Jason was resurrected. The rest of the time was spent yelling and howling and having a blast. You can never duplicate the vibe of those 80s movies at home. And of course, I’ve plowed through my reading list. So many great books out there begging to be made into movies. I wanted to do something new this year, so I took my kids on a nighttime tour of the famous Sleepy Hollow Cemetery. It was pretty incredible. You get to walk through 2 miles of dark passageways by lantern, stopping at famous tombs and mausoleums. I hadn’t realized they filmed the original Dark Shadows movie there, along with a Ramones video for Pet Sematary. Oh, and there’s that whole Headless Horseman legend as well. The best part was when we were at the back of the tour pack and I told my girls to turn around. You couldn’t see 5 feet behind us, the darkness was so complete. I whispered, “Anything could be back there.” That got us all walking a little faster. Went to the Chiller Theatre con this weekend. Wow. Saw so many cool folks and spent way more than I had planned. I’ll have a separate post on that soon. Last but not least, I’m just a few days away from finishing the first draft of my new cryptid novel. I’ll reveal who the monster is in the coming months. To help get you in the mood, the Monster Men present our 3rd annual Halloween episode. Turn down the lights, grab a beer and crucifix, and enjoy! You are celebrating the month in _wicked_ style! Happy Halloween! I went to Universal’s Halloween Horror Nights and had a BLAST! They have some awesome houses, street experiences and shows this year! We watch horror movies year-round and are big fans of the the Walking Dead – it has been pretty horrific this season. We’ve also gotten attached to the Z-Nation series. Oh Halloween, we have tickets to see a local presentation of Rocky Horror! I can’t wait! . A very cool choice on your mask /character, Having fun Hunter Shea/HorrorTober style, in a big way, Party on! Peace! Did you hear of this movie thought it was to funny to pass up! Zombeavers (2014)! Good Lord, I haven’t. Wonder if it’s as good as Zombie Strippers. No not as good as that, but funny with some a little horror, something different, but not the greatest I seen!